If you suspect that ice dams are causing damage to your roof, call the experts at A.H. Construction & Roofing Company. We will help you by determining the source of the ice dam and repairing the areas of poor ventilation and insulation on your roof that are contributing to the problem. If the problems persist, we will return at no charge to you to resolve the issue. When it comes to ice dams and other roofing issues, you will find no better in the Ypsilanti roofing industry than A.H. Construction & Roofing Company. We’re fully-insured and licensed to install only the best CertainTeed and GAF products. And when you entrust us with your roofing project, we promise to deliver only fast, quality results and superior workmanship. Best of all, we are no “one trick pony”. Whether you need a roof replacement, roof snow removal, a tear-off, or a re-deck, we will deliver the knowledge and expertise you deserve in a roofing contractor. Look for the best in Ann Arbor and Southeast Michigan–A.H. Construction & Roofing Company. 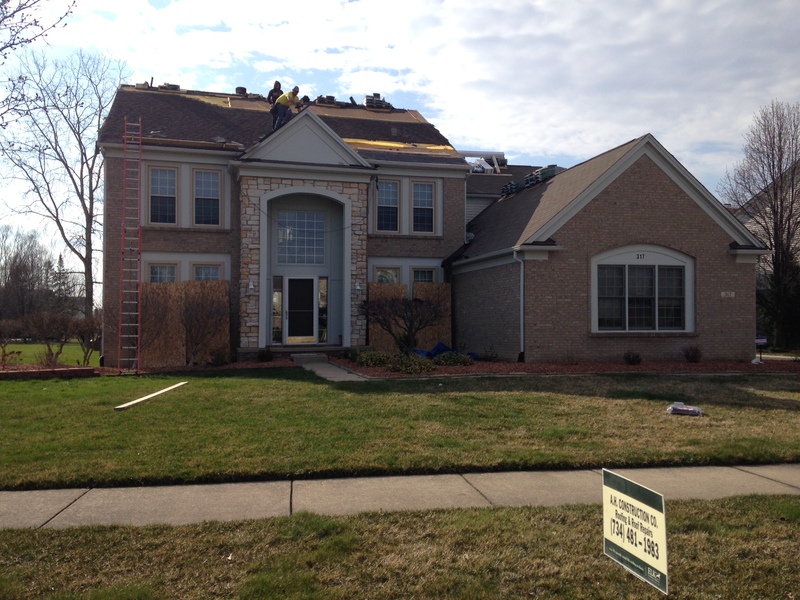 Call us today at 734-481-1983 for a totally free, no-obligation roof inspection!